Cory Monteith, star of the hit musical TV series Glee, has been found dead in his Vancouver hotel room. Paramedics were called to the Fairmont Pacific Rim Hotel where they found the 31 year-old dead. Although, ahead of an autopsy, the cause of death has not been ascertained, there are not believed to be any suspicious circumstances. The actor's representative Melissa Kates, issued a statement: "We are so saddened to confirm that the reports on the death of Cory Monteith are accurate." The Canadian Monteith was one of the most popular members of the Glee cast, playing high-school footballer Finn who gives up his jock hero status to join the assorted outcasts, freaks and needy exhibitionists of the glee club. Behind the scenes Monteith was a troubled man, with a history of problems with addiction. Earlier in the year he had gone into rehab and asked for some privacy while he tried to get his life back on track, not appearing in the final episodes of series four of Glee. He first received treatment for his addictions when he was 19 and in candid interviews he admitted that he took "anything and everything" during his years of struggle with narcotics. Monteith's co-stars from Glee were quick to pay tribute. "I have no words! 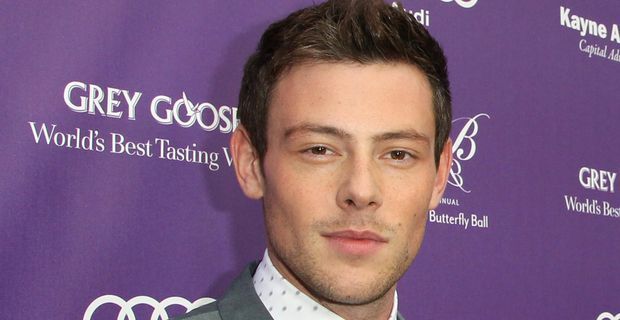 My heart is broken," Dot-Marie Jones tweeted, describing Monteith as an "amazing" man. "How sad to read about Cory Monteith passing away," Neil Patrick Harris tweeted. "What a shame. He was a lovely, kind, talented guy and will be missed." Josh Sussman called Monteith's death, "a tragic loss. He was such a great guy. Super-kind and warm." The producers of the show, Twentieth Century Fox, called Monteith "an exceptional performer and an even more exceptional person. He was a true joy to work with and we will all miss him tremendously".